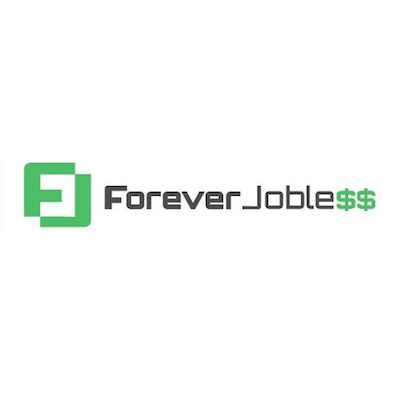 Today, we have George from WiredInvestors.com here to describe the opportunities and risks associated with website investing and to talk about how investing in income-producing websites could potentially shorten your journey to financial independence! Hi Fientists. 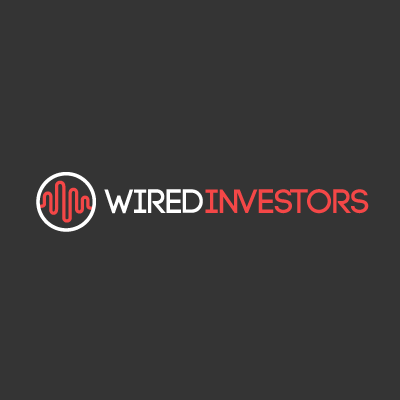 I’m George, and I write about website investing over at Wired Investors. Today, I’m going to share my own financial independence story (which is ongoing) and I’ll explain why website investing is playing a major part in that journey. I’ll describe exactly what website investing is, I’ll lay out some of the pros and cons of website investing versus more traditional investing (e.g in stocks, bonds, and real estate), and I’ll share some resources to help you get started in investing in online properties. Up until about a year ago, I was living a life on rails – I had graduated from a good school a couple of years prior, got decent grades, and got a job working as an interest rate exotics trader at an investment bank. This was all fine and good, except that I knew all along that the career path I was on wouldn’t take me to where I wanted to go. I wanted the freedom to live all over the world and to set my own schedule but the career path that I was on would never have allowed me to do that. Still, I’m rather conservative in my financial decision-making so I didn’t really end up taking action until I was forced to. I don’t want to bore you with the details but basically, I found a new job, handed in my notice, and then had the new job pulled out from under me. This was followed by a brief period of moping – and then clarity. The universe doesn’t owe me anything. If I wanted a certain lifestyle or a certain level of financial security, I had to go out there and make it happen for myself. Instead of relying on other people to give me opportunities, I realized that I should be actively pursuing the goals that I want to achieve. I live pretty frugally so I had a decent amount of savings from my trading job. There was really nothing holding me back from moving to another country – in fact, it would probably be cheaper in the long run since there aren’t many places that are as expensive as the city that I was living in (Hong Kong). So I decided to move to Vietnam and try to find a way to make it work. Around that time, I discovered that you could buy income-generating websites – and what’s more, they seemed to be to be undervalued. I was skeptical at first but the marketplaces seemed large enough (and sites listed on brokers seemed to go quickly enough) that I decided that it was at least worth looking into. I bought my first website near the end of last year. Fast forward about a year, and I’ve managed to cobble together a livable income, I’ve gotten to know a bunch of other people in the online business space, and I’m taking advantage of geographic arbitrage to keep my costs low. My own business is (fingers crossed) slowly growing as I scale upwards. I know you Fientists are interested in hard numbers, so I’ve included some examples of my successes and failures below. Analysis: This was the first website purchase that I made. My hypothesis for this site was that if I put Adsense on it, it would generate roughly $100 a month based on a click-through-rate of 1%. My estimate was more or less spot on – the site has consistently generated around $100 in earnings a month since I purchased the site. However, I’ve had trouble growing the earnings as the site is in a very broad (Quotes and Celeb News) niche that doesn’t lend itself well to monetization. This is the most ‘average’ investment that I made, in the sense that I paid a little less than a 20x multiple, but wasn’t able to improve/optimize the site to significantly increase the earnings. I’d say that this was a good result for a first investment, but looking back, I probably wouldn’t have bought the site if I knew what I know now. I don’t pay much attention to the site anymore – I add content sporadically – probably takes 4 hours a month of upkeep. Analysis: This was the second site that I bought, and I bought it shortly after the first. I liked the fact that it was a pretty old site (>5 years) and that it was in a reasonably specific niche, which allowed for a variety of potential monetization options. When I say ‘genre’ entertainment, I mean things like ‘crime’, ‘sci fi’, ‘fantasy’, etc. My immediate monetization plan was to put out an ebook of short stories in the genre and use the website as a marketing platform for the ebook. I outsourced all the writing, and in total the ebook cost about $500 to produce. I published it in April, and since then the book has made ~$2000. Right now the book is generating about $500 a month – it’s unclear how sustainable this income is, but I suspect it will continue at least until the end of the year. I also have the option to repeat this process and release another ebook to further improve the monetization of this site. The difference between this site and the Site 1 is the clear path to monetization that I saw. The site used to generated a small amount via adsense, but I removed those ads to improve user experience on the site. Analysis: This was bit of a flyer – the site was getting a ton of interest on social media and reddit, but I knew it had a short shelf life because it revolved around a single meme. The only way for me to turn this investment into a success was if I managed to convert the site into something longer lasting. It didn’t end up working out, but my initial investment was also pretty small. This is the only investment that I made that I would classify as a failure. Luckily, it was only my smallest website investment to date so I don’t feel too badly about it, especially since I knew it was somewhat speculative. Analysis: I’m normally not a fan of purchasing Amazon Affiliate sites as I don’t think they’re really suitable as long term investments, but the multiple on this site was too good to pass up. After I purchased the site, I tweaked the most popular page to try and increase conversion rates. The tweaks that I made helped increase the earnings of the site significantly – up to about $350 a month. I’ve owned this site for about 7 months, and I’ve already recouped my initial investment (keep in mind that it is also possible to resell this asset at a later date as long as it still generates earnings). When I initially started looking into buying websites, I was interested in sites that had large amounts of traffic that were under monetized. Since most websites get sold based on a monthly earnings multiple, I figured the easiest way to find ‘undervalued’ sites was to find sites that were under monetized. While my first instinct was broadly correct, nowadays I’m looking for sites that are under monetized, but also have a clear path to monetization as well. On my first site purchase, I found it pretty difficult to think up new ways to monetize the site because the content of the site was too generic. Generally speaking, the more targeted an audience is, the easier it is to find affiliates or create products that will be of interest to them. The Mad Fientist has actually already had a couple of guests on the podcast who’ve talked about buying and selling websites (Justin Cooke from Empire Flippers and Billy from Forever Jobless), so I’ll try my best not to rehash anything, but my goal of this post is to try and help you realize the potential (and the accompanying risk) of investing in websites. I’ve already been over my finance background, so it shouldn’t surprise you that my approach to buying websites differs a little from the typical website buyer. From the perspective of a typical online entrepreneur, buying websites doesn’t necessarily make sense – after all, these are mostly people who’re used to bootstrapping and building things from scratch. It’s no surprise then that websites seem expensive to them – typically websites are sold at 20x-35x monthly earnings. To someone from the finance world however, 20x-35x monthly earnings seems cheap, especially when compared to more traditional assets like stocks and bonds. For example, the long-term average P/E of the S&P 500 is 15 whereas 35x monthly earnings translates into a P/E of 3. Corporate bonds yield about 5% right now whereas a website priced at 35x monthly earnings will yield 34% annually. Keep in mind that bonds and equities are much more passive investments than websites, so it’s natural that there is a divergence in terms of returns. The most apt comparison for investing in websites is probably real estate. Websites and real estate are similar in that both require maintenance/upkeep. Also, if you wanted to boost yields on either one, you’d have to either DIY it (which costs time) or hire a professional (which costs money). Right now Real Estate in the US is on average yielding about 9% (this is gross yield). You can compare that 34% that we mentioned earlier for a website priced at 35x monthly (which is on the high end). On the other hand, it’s undeniable that the average lifespan of a real estate investment will be significantly longer than the lifespan of a website – it’s up to you to decide whether the increased average yield from website investments makes up for the shorter investment lifespans. I don’t want to get too much into the nitty gritty details of exactly why I think websites are undervalued – I’ve actually already written about this at some length in a guest post on the Empire Flippers blog. I also want to note that I am not encouraging anybody to go out and buy website immediately. Websites can potentially yield great returns, but they are also substantially riskier than stocks, bonds, or real estate – and this is doubly true if you don’t first take the time to learn how to do website due diligence and pick up the fundamentals of website management. The website marketplace is currently totally unregulated – whether it’s over exaggeration of earnings or outright fraud, it’s up to you to protect yourself by doing good due diligence – there’s no SEC to turn to if something goes wrong. Buying and managing websites requires a specific skill set that you need to be willing to learn (e.g basic css/html, search engine optimization, conversion rate optimization, etc.). While you don’t need to be an online business expert right out of the gate, you definitely need to be willing to pick up some of the basics to be able to manage a website successfully. You have virtually no legal recourse if you get scammed/defrauded – in some cases, sellers and buyers will exchange contracts, but even if there is a contract in place, it will be difficult to enforce since many transactions take place across borders. This makes good due diligence absolutely essential. If you’re not willing to put effort into learning and practicing good due diligence, then you should definitely look elsewhere. Marketplaces like Flippa are a bit like the Wild West – there are a ton of scammers out there. To avoid outright scams, you can try to do deals through website brokers, but typically valuations will be higher when you buy through a broker. Website brokers also vary in terms of quality, so you should still always protect yourself by doing your own due diligence. The lifespan of a website will on average be shorter than the lifespan of more traditional investments like listed equities or real estate. I’m pretty confident that Nestle will still be around in 15 years – I can’t necessarily say the same about some of the websites that I’ve purchased. Despite these risks, websites are undervalued compared to other asset classes because they remain largely undiscovered so if you’re interested in financial independence, buying (or building) websites as a way to either supplement or replace your income is something that you should look into. There are a few caveats though. The first and most important is that under no circumstances do I think it is appropriate to invest in websites that you can’t afford. Buying websites is already risky, and is best suited for those who’ve already got some savings that’s earmarked for investing. This is not the kind of investment that you want to stretch yourself financially for. Another thing to keep in mind is that owning a website is nowhere near as passive as owning stock or bonds – and there aren’t that many people out there who understand all the different aspects of maintaining and managing websites. For this reason, I strongly encourage you to start off with a relatively small investment. I can’t agree more with this quote. People who take the time to learn about website investing will probably do pretty well over the next few years – at least until market inevitably corrects itself and erases the relative undervaluation. On the other hand, people who just jump right in without attempting to learn basic online business skills will probably do poorly – at best, they’ll get average returns. George is a website investor and writes about website investing, due diligence, and earnings optimization at WiredInvestors.com. In a past life, he was a trader at an investment bank, but nowadays he spends most of his time in coffee shops browsing reddit whilst he should be working. I’m curious– where is the $9,000 to $10,000 in monthly income coming from? By my reading, it doesn’t appear to be from buying and selling web sites, which appear to give him $950 or so per month in the current best case scenario. I’m not passing judgement on whether this is a viable investment, just wondering, if the income number quoted at the beginning is true, whether it might be based on selling a fantasy to others rather than the viability of web sites as an investment. Sorry, that’s my fault there’s some confusion. Erik, who I mentioned in the intro (making $9k – $10k), is completely different from George who wrote the post. I only mentioned Erik in the beginning because he’s the person who made me think I should write a post about website building/investing. When George approached me to write a guest post on that exact topic, I happily agreed because my emails with Erik had already planted that seed in my mind. I wonder if it’d be best to just take that part about Erik out so not to confuse matters (and hopefully just convince him to go Under the Microscope at some point)? Or do you think I should just leave it and find a way to make it a bit more clear? Ah, ok, I should probably have picked up on that! Sorry! George clearly has impressive ROIs nonetheless. No, it’s definitely my fault! Erik and George were tied together in my mind but not in anyone else’s so mentioning Erik’s story just confused matters. Thanks for the clarification. I was also a bit confused, having clicked over to the article from the newsletter email which mentioned Eric and the $9-10k number. I think the Fientist cleared the confusion up already. I’m still scaling up my site buying – the sites I listed aren’t all the sites that I own, but they represent what I feel like is a good cross-section of my investments so far (from failures through to successes). Also want to note that I appreciate your kind of skeptical thinking – there are a lot of snake oil salesmen out there when it comes to ‘making money online’. My goal is to spread awareness of this type of investment (which I think many people are currently unaware of) – but anybody who’s interest is piqued by this article should definitely be going out and doing more research on the subject. Love what you’ve done with the homepage by the way — it looks awesome! New free time is being put to good use! I’d remove the Erik mention personally, as it was momentarily confusing and really unrelated. Would love to learn more about what Erik is doing though! Haha, glad you like the homepage as well! I’m not a designer so that took me FOREVER to do but I’m happy with it so hopefully I don’t get sick of it any time soon. I took your advice and removed Erik’s story from the intro because you’re right, it just confused matters and really didn’t add anything so I’ll just reach out to Erik separately to see if he’d be willing to share his story at some point. Site really looks great. One thing: In the “Fientific Breakthroughs” section, which is a great sub-topic, I’d change the “popular article” and “popular podcast” to something more flashy. And maybe include 2-3 “essential articles” that show what these Fientific Breakthroughs are all about! I think if you’re interested in the buying a site then you should go ahead and pull the trigger, but on something relatively small. Use it as a kind of proof of concept, and then scale slowly if it looks promising. Very informative post, and great job not “selling” website investing but laying out the pros and cons. This is definitely not a path I would go down currently, because #1 it’s not passive, and #2 I know nothing about monetization of websites as I have yet to even do it on my blog. Great for someone who has the time, patience, and knowledge to perhaps give it a shot. Yeah, I’m really glad George focused as much on the risks as the rewards because it’s definitely not easy money. Trying stuff out on your own blog is a great, low-risk way to learn, I think. I have zero interest in SEO, conversion optimizations, and monetization methods but I think I’ve picked up a lot of good practices over the years just by trying stuff on my site and seeing what happens. I’m sure a real web entrepreneur could come in and 10x the amount of money my sites earn but when earning money isn’t the primary goal, any money that comes in is a bonus so I’m okay with just learning as I go and figuring things out slowly. After all, I’m definitely not looking for another job at this stage! I do make a conscious effort to try and highlight the risks, both in the article and on my site. While I believe this is an area that is interesting and worthy of more discussion, I also definitely don’t want to be the cause of anybody losing their shirts because they went all-in on a scammy site. Investing in websites is definitely risky and my advice to anyone who’s interested is A) Do your own research on the topic. B) if you’ve done more research and you’re still interested, dip your toes into the water very very slowly. I am by no means saying that Erik, George or Madfientist are guilty, but please beware that there is a HUGE community of unscrupulous characters that sell broken promises of quick/easy riches on the internet. Drop shipping, affiliate marketing, website flipping, blackhat SEO & tools, private blog networks, etc. All under the guise of working for yourself from anywhere in the world while making bank. There is probably no shortage of opportunity but please be aware that there is also no shortage of ways to get scammed. Buyers beware. Completely agree and I think George successfully conveyed the severity of the risks in his article. It’s obvious from the way he’s approaching his own investments that he’s treading cautiously. That’s what I liked most about his story. He didn’t just spend $297 on someone’s “How to Get Rich Online” ebook and then drop $20k on a site that ended up being a scam. He has instead done a lot of research, has started small, has experimented with different types of sites/monetization methods, and he’s altering his plan as he learns more. As he said, these sites are only undervalued if you know what you’re doing so you need to put in the work so that you’re in a position to take advantage. If you don’t want to put in the work, you’ll get screwed so don’t waste your time/money. 100% agree with you. There are definitely some unsavory snake oil salesmen types out there in the online business world. Each of the things that you mentioned – drop shipping, affiliate marketing, etc. – it’s possible to make money from all of them. But it takes dedicated time and effort to learn each and every one. They’re simple, but not easy. Also, in many cases, the ‘get rich quick’ stuff is just some guy who found a loophole in a specific ecosystem, and is teaching you the loophole. You end up learning a technique or method that actually turns out to be obsolete by the time you’ve mastered it. On the other hand, there are a definite set of online business skills that you can learn that will make you more successful, regardless of whether you’re building a site yourself, buying a site, or working for a client. If you can develop a strong set of online business fundamentals, then it becomes easier to see a path that hopefully leads to a sustainable, long term online business. In any case, yes, I agree with you that a vast majority of the ‘guru courses’ out there aren’t good. At best, you get a well structured course that presents you with information that you could find elsewhere for free, and at worst you get to learn about a set of obsolete methods that try to exploit a loophole that’s already been closed. So I totally agree. Buyer’s Beware (this applies to life in general as well =p). Yes, it definitely requires specific knowledge, and is not passive (websites can range from almost-passive to almost-like-a-second-job). It definitely won’t be everyone’s cup of tea. I don’t think ‘passion’ is required. I think the term ‘passion’ is bandied about far too much in our culture. You don’t have to be ‘passionate’ about maintaining websites in the same way that someone who’s ‘passion’ is acting or singing or something. I doubt there’s more than 3/4 people on the entire planet who would say that maintaining/managing websites is their ‘passion’. What is required is interest. You need to be interested in the internet, interested in the business of the internet and the infrastructure of the internet. You need to be willing to work on the computer. If you hate looking at screens and you don’t particularly like spending time on the computer, then website investing is definitely not for you. But yea, I agree with your general point – it does require a specific skillset and it is definitely not for everybody. Really interesting stuff here. I don’t have the time to learn the ropes right now, but I have some scheduled down time in the next couple years and I love picking up new skills. Thanks for the links to all the resources, and for clearly laying out the pros and cons. Cheers! Very interesting article, as someone who once had a large slice of income coming from a small network of affiliate based websites I actually find websites are now on the brink of becoming overvalued – Yes, even compared to stocks/real estate, simply due to the vast level of risk involved. In March 2012 I saw a similar picture across a small network of sites I owned, it was due to a multitude of blog networks being taken out by Google (two in particular being Build My Rank and ALN). Both which I used to build links to this particular site, in September 2012 I was then hit again from a mixture of Panda/Exact-Match Domain Updates. You’ll find many other site owners saw a similar picture, now admittedly I learnt a valuable lesson in purchasing links! Public and private blog networks are a game of chance and should be avoided like the plague. But the simple fact is your main traffic source can be switched off overnight. Even if you are diversified with your web investments you’re still likely to use the same traffic building techniques across them all (Facebook, Google ect all have been known to switch algorithms overnight). The thing is people still use Private Blog Networks to very successfully build links > rankings > traffic > sales so they still form the backbone of many investments listed on popular marketplaces. Now imagine you used to leverage to purchase the investment and Google takes out the Private Blog Network which was used, you’re going to be left in a fragile state! Since most websites are now listed for 24+ monthly income unless you can see a way to substantially increase the profits you’ve got 24 risky months ahead before you start to turn a positive profit and this number (24) only seems to be increasing. Compare this to real estate or an index tracker – The chances of literally being left with something completely worthless is very small, even if house prices drop you still own the land and building and if you’ve got the guts to ride it out over the long-term the S&P should rise again. The way I’m starting to look at website investing is that they’re great short-term cash providers (if you can increase the value i.e. monetization method) but provide too much risk to form the majority of a portfolio over the long-term. Perhaps investing your income from your investments into something more secure (paying down real estate mortgages ect) would be a good strategy? PBN links and such are effective in some circumstances and for some types of sites, but if I’m paying 20x or higher on a site, I generally will be looking for sites that haven’t used any blackhat techniques (including PBNs, SAPE, etc). A close examination of the backlink profile will usually reveal these techniques. Yes, your traffic source can be switched off overnight – but my general attitude towards this is that a site that has true value will work in most environments and should be able to adapt. If you have a site with shoddy content and just a whole bunch of reviews and google has an algo update or penalizes your site, then yea. Your site is dead. If you have a site that people like (or even better, they love) – and your content is genuinely adding value to the web, then you should be able to find a way to survive. You should have an email list and significant social followings to show for it. In any case, if you’re whitehatting the SEO, you should be reasonably safe from Google. It’s also not necessarily true that you should rely on the same sources of traffic across sites. In fact,I would advise people who are building a portfolio of websites to deliberately diversify the traffic acquisition strategies across sites – social on one, organic on another, email list/direct on a third. The best case scenario is that each of your sites has a diversified set of traffic sources on its own. I think the important thing to know with regards to PBNs is that exploiting loopholes often works well in the short run and in most cases fails in the long run. You just have to be aware that when you’re deliberately exploiting a loophole in any given system, your success depends on that hole not being patched up. If you’re looking for long term success, you need to aim to build something that genuinely adds value. I mean, look at thewirecutter.com – while people were using pbns to rank their amazon affiliate sites, someone was building the wirecutter – a site that is essentially a huge amazon affiliate site. They (presumably) used white hat techniques and wrote great content, and when everyone else got smacked by Google, they survived. I agree with your point about asset allocation – I would not in any circumstances put a majority of my investment capital into websites. The absolute upper limit for me would probably be about 50%, and I anticipate websites will in reality probably make up about 25% of my total investments over the long run. Thanks for your reply George, you raised a couple of ideas I’d not thought about (only buying high content quality sites). Will keep this in mind if I make the time in the future to dedicate on a website investment project, the owner of the Amazon site you mentioned must be doing very well! Brandon another awesome post dude! So excited to see that you’re keeping this topic alive. I’m still playing around with my FI strategy to include the travel hacking app but would really like to buy a website and learn my way from there. I’ve been following Empire Flippers for a year now along with a couple other brokers but nothing has come across my way that fit my criteria. I’ll start it if there’s interest in helping each other stay accountable and focused! Anyone still interested in this? I just came across this post now but am looking to dip my toes in although I have no experience yet. Never heard of Slack until just now either–sounds like a cool concept. How is George doing with his website investing? I’d me interested in an update on his results. Very nice guide here. I went down the route of trying to create sellable sites, rather than just investing in one already doing well, but they weren’t worth continuing. This definitely interests me but the amount of scammers on Flippa (like you say) is really off-putting. Brandon, it would be great to see an update from George! Thx! I own something like 40 income producing websites…its a LOT of work. A LOT of work. If you want fewer headaches, just buy some stock or REIT shares.